We are a locally owned and operated business based at 11 Peter Street, Ashburton. 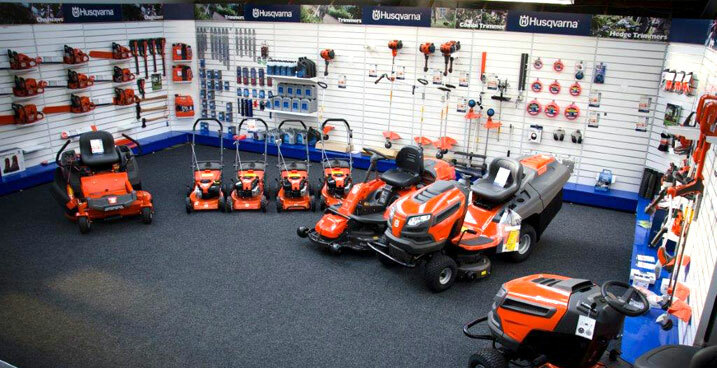 Our business has been around for over 30 years and we are one of the original Husqvarna dealers in New Zealand. We sell a large range of outdoor power equipment and we aim to give you the best service possible and getting our customers the right products for their needs. We have a well-equipped workshop onsite using only genuine parts where possible and the knowledge to ensure an efficient job is completed to a high standard. We are also Victa gold dealers, Briggs & Stratton Power Product dealers and Gardena dealers. We also have access to other brands allowing us to service and repair many other common makes and models. If you have any questions about any of our products or just need advice come in and see us and we will try our very best to help.